Truer words were never spoken, perhaps, but I’d like to believe Karl had something more philosophical in mind. After all, can one ever really attain the chic of another person? Isn’t it just better to do it for yourself? We think so. Which is why we have recently enlisted our own style icon, Christine Scarinzi, to serve as style editor over on our main website, http://www.luxurydossier.com. Christine brings a kind of casual, bohemian upscale chic to our concepts of fieldside (and afterparty) luxury: relaxed, contemporary via her experience at Takashimaya New York and as a regional rep for Chanel. Each week, Christine will curate a few looks to consider for this weekend’s polo. Nothing too serious, nothing too written in blood, just a few suggestions to make us all look more chic and, well, more like ourselves. Chicer than Ines? Just be yourself. So let’s say that, by some evil stroke of fate, you are NOT at the Veuve Clicquot in New York this weekend, nor in London at the Mint Polo in the Park, nor in Ibiza. It’s not too late to get busy and bid at Auction Napa Valley. One of our favorite packages is the Blackbird/Chopard package which will put you right in the middle of things in 2012. What makes us Happy? Diamonds and doing good!!! Blackbird Vineyards is pleased to participate in Auction Napa Valley on June 2-5, 2011 to raise funds for Napa County health, youth, and low-income housing non-profit organizations. This year, Blackbird Vineyards will donate an unobtainable Cannes Film Festival Live Lot, which was made possible with the generous support of our partner, CHOPARD, in addition to Ma(i)sonry Napa Valley and Bardessono. A three-year, hand-etched, 6L collection of 2006-2008 Illustration Proprietary Red Wine from Blackbird Vineyards, Napa Valley, signed by winemaker Aaron Pott. Ma(i)sonry Napa Valley Tour and Dining Experience for sixYour 2012 Cannes Film Festival Experience will be hosted by CHOPARD, the manufacturer of luxury watches, jewelry, accessories, and timepieces, in May of 2012. CHOPARD, which has been one of the two main sponsors of the Cannes Film Festival for the last 20 years, invites the winning bidder and a guest to a three-day/three-night cultural event at the Cannes Film Festival, including airfare to Nice, France, luxury car service (from the airport and for three days), access to movie premieres, luxury accommodations, all lunches and dinners, hair and makeup services, access to great events, as well as one CHOPARD Happy Sport Watch. Enjoy a private, hosted gallery tour and wine-paired alfresco dinner for six (6) persons at Ma(i)sonry, prepared by a renowned chef. Overnight accommodations for three (3) couples for two nights in spa suites, including breakfast. Bardessono is located in Yountville, serving as a model for elevating contemporary, environmental “green” design with a sense of place, history, and artisan values. 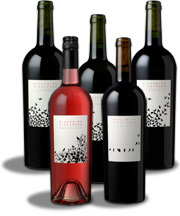 Founded in 2003 by Michael Polenske, Blackbird Vineyards is an artisanal producer of Pomerol-inspired wines from the Napa Valley. Planted in 1997, the estate vineyard is located in the heart of the Oak Knoll District—a region appreciated for its moderate climate and deep, gravelly soils. The vineyard‘s valley floor topography presents optimum growing conditions for Winemakers Aaron Pott and Sarah Gott to produce elegantly styled, appropriately balanced red wines that offer short- and long-term cellaring potential. Limited quantities are available through an allocated mailing list direct from the winery and in the finer restaurants and hotels around the world. Visit Blackbird and become a fan on Facebook. Fashion’s on our mind today, thanks to a message from our childhood friend, the New York costume designer Jeff Fender. Jeff ‘s specialty is hand-painting on silk and his newly-expanded Jeff Fender Studio in Brooklyn has become the go-to studio for Broadway designers and, now, the music gliterrati. Jeff’s stunning kimono for the Victoria’s Secret Fashion Show was set off a firestorm of inquiries from the likes of Britney Spears and Katie Perry, for whom he has designed. He also worked on the couture aspects of the costumes for the U.S. run of Warhorse at Lincoln Center, not to mention Tom Ford’s top secret lingerie line in Europe. We’re just waiting for the time when Jeff launches his own couture line. Until then, we’ll have to live vicariously through his public work. We’re also crazy about PJ Bundy’s costume jewelry collection, which seems perfect for pairing with a sundress @ this season’s polo. 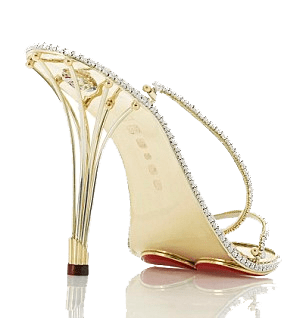 These are light, lovely, with quite the feeling of piling it on, a la Coco Chanel. 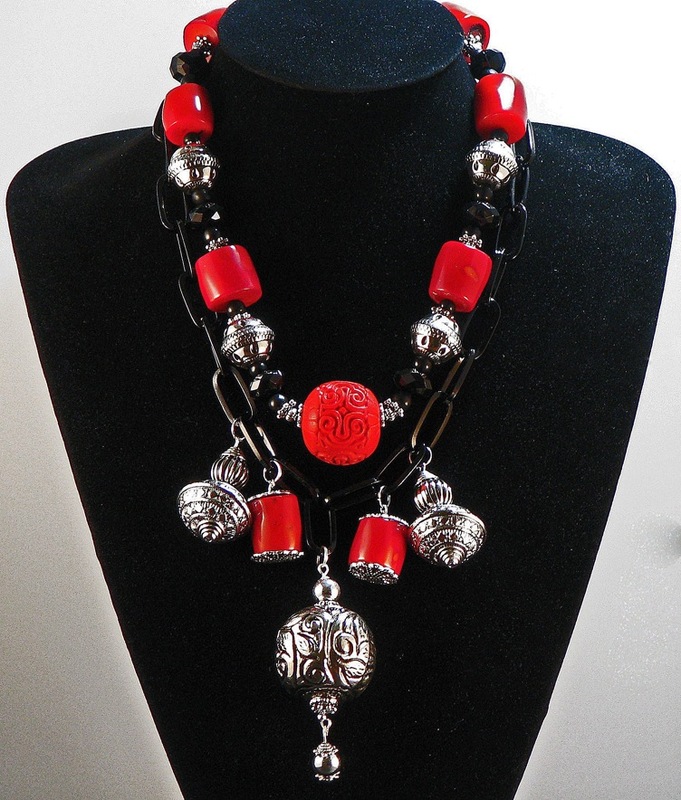 PJ just returned from a whirlwind tour of Europe with her collection and you may contact her through Jeanne Chisholm’s gallery, always a perfect stop for the exotic and the spectacular. Speaking of which, how about these lovely equestrian-themed handbags and small collection from Rinaldi? 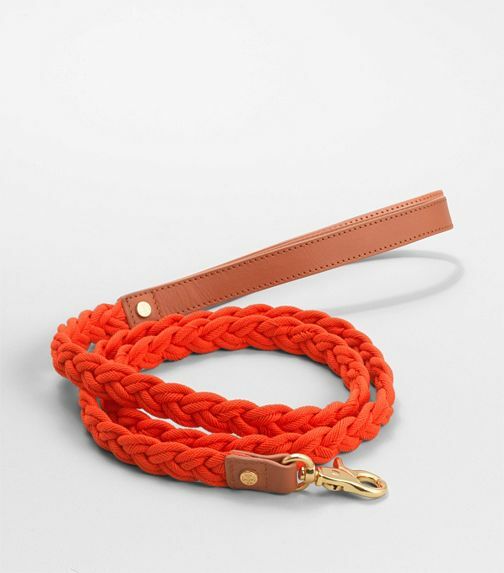 These bags are also very au courant for the Veuve Clicquot match or elsewhere, this summer. The boots are perfect for making a statement on the polo ground or…ahem…after, after the afterparty. Whew! What are you wearing today? Let us know…. he French luxury house Van Cleef & Arpels is being recognized for its contributions to the history of jewelry, fashion, and art at the Cooper-Hewitt Museum in New York with an expansive exhibit held from February 18 to June 5, 2011. 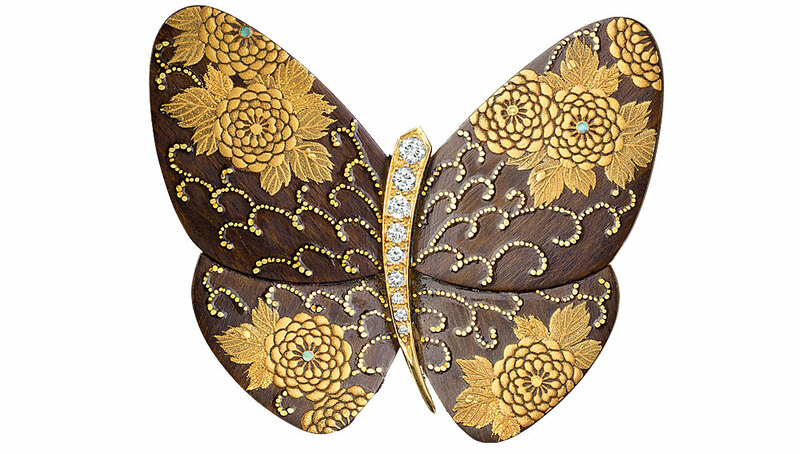 Set in Style: The Jewelry of Van Cleef & Arpels will showcase more than 300 timepieces, fashion accessories, design drawings, images from the firm’s archives, and, of course, an abundance of jewelry in six themes that reflect its legacy: Innovation, Transformation, Nature, Exoticism, Fashion, and Personalities. The Innovations category highlights the brand’s Mystery Setting, a 1933 patented technique in which stones are cut to fit a metal grid so there is no visible metal setting. Among the standout Mystery Setting pieces is a ruby Peony brooch, circa 1937. 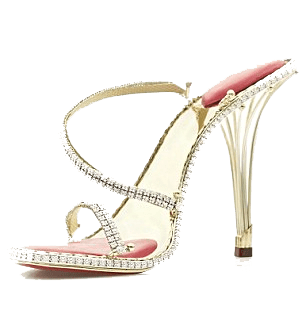 In the Fashion theme are fiveminaudières, including elaborate jeweled models and the brand’s first 1930s piece inspired by Florence Jay Gould, wife of the American philanthropist Frank Jay Gould. 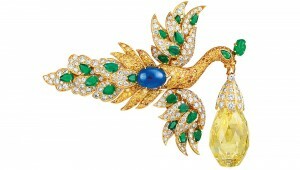 The exhibit’s Transformation portion features a 95-carat yellow diamond bird brooch, whose wings become a set of earrings. 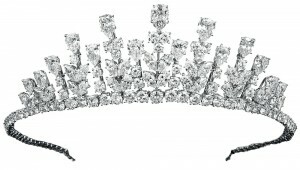 Exoticism and Nature show the recurring influence of travel and natural inspirations on classic Van Cleef & Arpels motifs like the butterfly, and Personalities will demonstrate the influence the house has had in American society through famous patrons like Elizabeth Taylor, whose amethyst, coral, and diamond bracelet and matching pendant earrings are shown, along with the tiara worn by Princess Grace of Monaco. TCM’s Classic Movie Blog. takes a look at polo in Hollywood. It’s an extensive article, well worth a look for anyone curious about ‘movie star polo’ and its significance during the golden age of Hollywood. 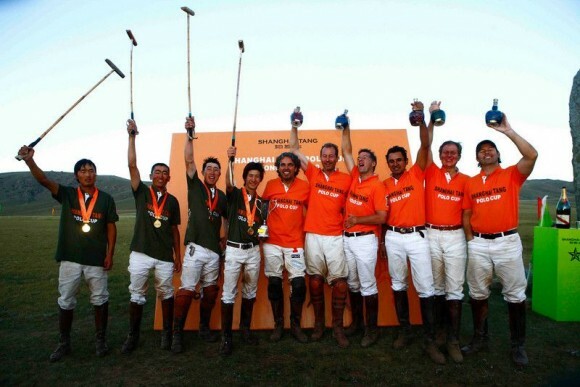 Strangely, the question of ‘movie star polo’ has been brought up in several conversations recently and we wonder if there are any up and coming actors who are interested in the sport. If so, I’m sure the West Coast polo peeps will be happy to get you started. Thank you to Jeanne Chisholm of http://www.chisholmgallery.com for the heads up on this.